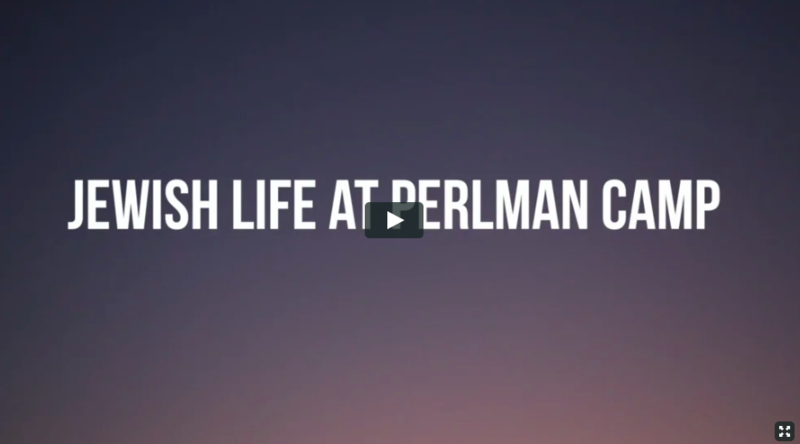 Perlman Camp is an inclusive, intentional and inspiring Jewish community. We are an independent, non-movement based Jewish organization and we pride ourselves on our diversity. Perlman Camp is a summer home for campers of all Jewish backgrounds. 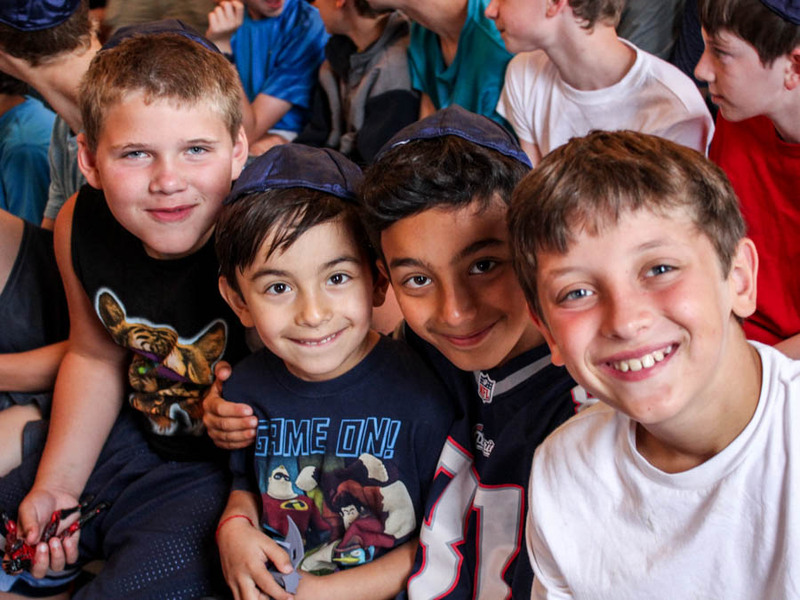 Whether Perlman is your child’s first experience in an immersive Jewish community, or Jewish overnight camp is complementing an already-rich year-round Jewish experience, we strive to ensure that your child and family feel comfortable at Perlman. We feel a tremendous responsibility for our campers’ Jewish experience and outcomes. Kehillah Kedosha – Sacred Community. By building and welcoming inclusive communities, we create caring places where each individual is valued and connected to one another. Nefesh Yehudi – Jewish Journey. By being open to self-exploration, discovery, and expressing our Judaism, we challenge ourselves to make Judaism personally meaningful and relevant. Ahavat Yisrael – Love of Israel. By deepening our understanding of Israel’s people, land and history, we foster a passion for Israel as our Jewish homeland. Tikkun Middot – Jewish Values and Moral Compass. By applying Jewish values and striving to be good and ethical people, we make our world a more friendly and kind place. K’lal Yisrael – Jewish Peoplehood/Jewish Culture. By participating in Jewish life and embracing the diversity of our Jewish communities, we create a feeling of commitment and belonging to the greater Jewish people. 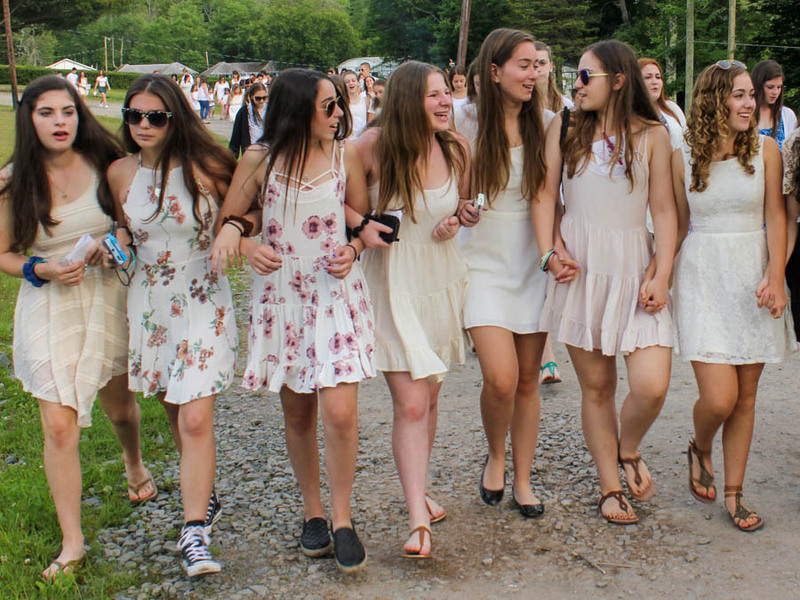 As a result, our entire community gains a deep connection and enthusiasm for Judaism that extends far beyond summers at camp. Shabbat is a special time at Perlman Camp, and many of our campers say it is their favorite time of the week. Shabbat is a time of separation from the normal days of camp, a time for reflection and an opportunity to connect more deeply with the camp community. The Shabbat experience begins with our all-camp Menorah lighting, a long-standing tradition at Perlman. While lighting the camp Menorah, our Pioneers (entering 11th grade) each share a quote relating to the theme of the week that is personally meaningful to them, and the group leads the rest of camp in a song. From the Menorah, a processional of all campers heads across the bridge to our beautiful amphitheater overlooking the lake. 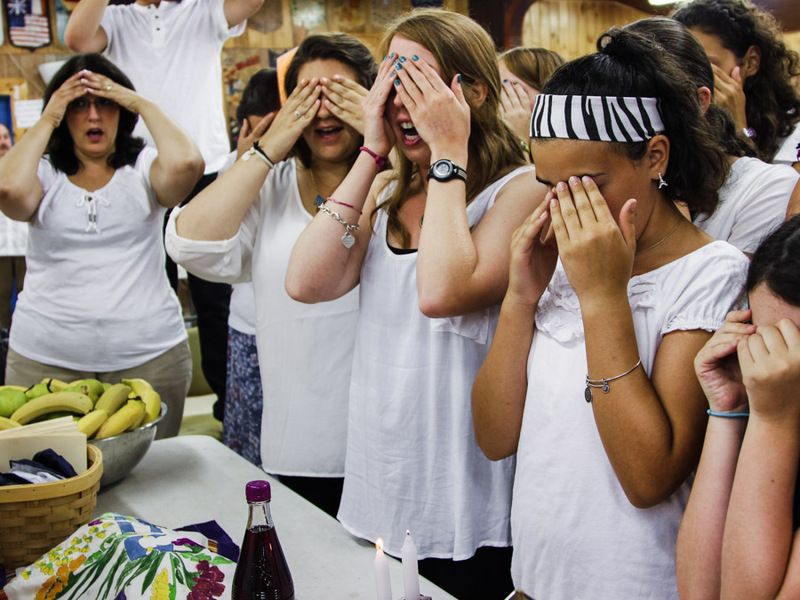 Campers lead Shabbat services, with a different bunk responsible for a service each week. With guidance from our Judaic Director and song leader, campers in the bunk have an opportunity to lead a prayer, share a quote, or participate however they are comfortable. After a traditional Shabbat dinner, our entire community comes together for an all-camp song session and raucous Israeli dancing – a highlight of the week! Saturday morning begins with a late wake-up and “porch breakfast” at the bunk, followed by camper-led Shabbat morning services in Sobel Hall. Each week’s episode of “Saturday Torah Live,” a puppet show performed by the Staff-in-Training, teaches our campers about the weekly Torah portion. 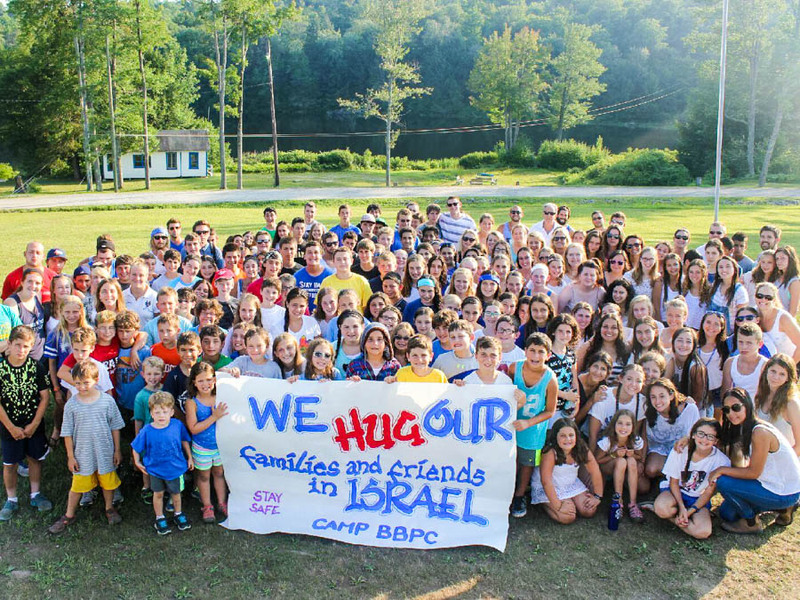 After services, all campers join their Shabbat Families, groups of mixed-age campers from similar home communities. The groups participate in engaging activities with a Jewish twist. In the afternoon, campers have electives and free time to enjoy the pool, playing sports, relaxing with a game of cards, or socializing with friends. Shabbat at Perlman wraps up with our Z’man Tov (Good Times) where we hear from each bunk about the highlights of their week, followed by a beautiful song session and heartfelt Havdallah service under the stars. All in all, Shabbat at Perlman Camp is a magical experience and the cornerstone of our Jewish program.